The Royal Air Forces Association (RAF Association) has teamed up with boutique florists Appleyard London to create an exclusive bouquet. 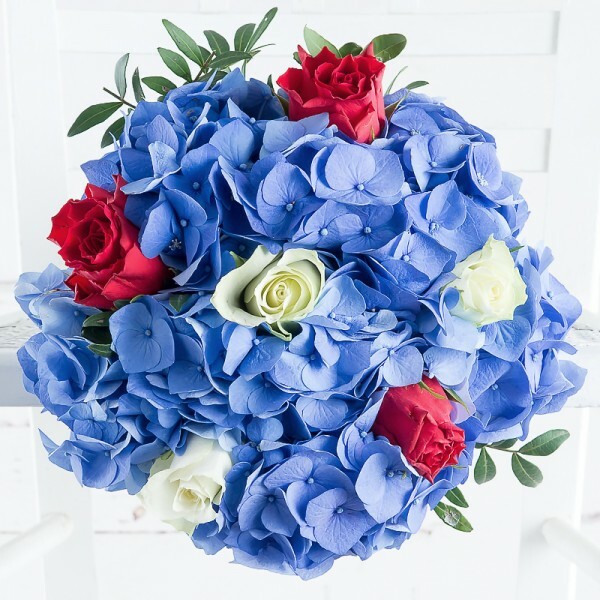 In traditional RAF colours – red, white and blue – each bouquet has been handcrafted by experienced florists. Flowers have associated meanings, many dating back centuries, and so it was important to not only select the right colours, but also to choose appropriate blooms. Sky-blue hydrangeas traditionally represent perseverance while red and white roses reflect love and peace. Rebecca Davies, Corporate and Major Gifts Manager at the RAF Association, said: “We’re delighted Appleyard London has decided to support the RAF Association by designing a bespoke bouquet. Appleyard London will donate 10 per cent of the purchase price of every specially designed bouquet to the RAF Association. If you’d like to treat yourself or loved one, while supporting the RAF Association, please visit www.appleyardflowers.com/rafa.